The Nikon D750 is the first in the series of Nikon FX-format cameras which includes technologies from the D810 in a smaller and lighter body. It is equipped with a CMOS sensor and is powered by the Expeed 4 image processor. The total number of focus points is 51 and the focal length multiplier is 1x. The ISO settings are 100-12800 (expandable to 50-51200) and the burst shooters can use the continuous drive of up to 6.5 frames per second. It can record videos at Full-HD 1080p resolution at 60p, 50p, 30p, 25p and 24p with stereo recording for better sound. Measuring at 5.55 x 4.45 x 3.07 inches and weighing a little over 750 grams, the D5600 is a little bulky DSLR but feels comfortable in hands. The viewfinder with a 0.7x of magnification and 100% scene coverage is pretty impressive. The LCD, on the other hand, is bigger as compared to other DSLRs in this list. It measures at 3.2 inches with 1,229,000 dots. It is tiltable but is not touch-enabled. NFC and Wi-Fi are built-in for easy connectivity. The lithium-ion battery pack of EN-EL15 is extraordinary as it provides a total of 1,200 shots after a single charge. A lot of different lenses designed for different purposes can be attached with the D750 as per your liking. You can explore a wide variety of lenses from different manufacturers. Following are some of the best lenses you can exploit with D750. Sigma 85mm f/1.4 DG HSM Art: This Sigma lens is the topmost portrait lens for the D750 offering brilliant bokeh effect and neat focus. It can easily focus the pupils of the subject’s eyes and at the same time blurs the eyelashes. It is widely praised by the critics from all over the world and it is an ideal lens to be used at night, weddings and journalism. Nikon 85mm f/1.4G: The edge-to-edge sharpness of this Nikon lens is beyond imagination. This lens has a rapid fast f/1.4 aperture paired with a rounded nine-blade diaphragm creating an attractive and natural booked effect even in low-light conditions. It is ideal to be used for portraits and general photography in studio or outdoors. The resulting images are sharp and thanks to the Nano Crystal Coat, every kind ghosting and interior flare is reduced for greater image clarity. Sigma 50mm f/1.4 DG HSM Art: Another decent lens from Sigma with a large aperture and 50mm of focal length for taking better portraits. It is a purely professional camera and can work in different conditions including street, general and landscapes. Tamron SP 85mm f/1.8 Di VC USD: This lens manufactured by Tamron is the world’s first fast-aperture telephoto lens which is paired with the VC (image stabilization) technology. The edge-to-edge viewfinder brightness and excellent low-light performance make this lens a crucial part of your photography kit. The aperture rate of f/1.8 is perfect allowing you to have a balance between the right brightness level and the bookend effect. The 85mm focal length, on the other hand, is ideal for producing a jaw-dropping image with true-to-life facial features in accurate proportion. Nikon 85mm f/1.8G: Compact and lightweight lens by Nikon for the perfect booked effect. It boasts the Nikon’s exclusive IF (internal focus) technology due to which the autofocusing becomes quiet and fast producing clear images and videos at all aperture rates. It performs astonishingly in low-light conditions and is ideal for portraits, weddings, and concerts. Nikon 28-300mm f/3.5-5.6G ED VR: A flexible lens at a decent price by Nikon. This lens is the only all-in-one lens available for the D750 but it’s the perfect one. This extremely all-around lens has a 10.7x of zoom with ED glass and features IS (image stabilization) and VR II (vibration reduction) technologies for enhanced results. It has fast and quiet autofocus and allows you to capture perfect colors with the right contrast with decreasing every kind of chromatic aberration, even at the widest aperture setting. Nikon 105mm f/2.8G IF-ED VR Micro: Macro shooting at D750 cannot get any better than this thanks to the Silent Wave Motor (SWM) and Vibration Reduction (VR) designed for close-up and macro photography which can work in other conditions as well. The VR system allows you a total of three shutter speed stop equivalence enabling the use of slower shutter speeds while still maintaining image sharpness. It is perfect for close-up shots and portrait shots with greater working distances and AF from infinity to life-size (1:1). Tamron SP 90mm f/2.8 Di VC USD Macro: A Tamron’s lens employing a Floating System for maintained image quality throughout the 11.8″ to infinity focusing range. It is a brilliant lens and is very fast in focusing without making any noise whatsoever. It does not show any chromatic aberration at different aperture levels and boasts a life-size maximum magnification ratio of 1:1. This lens benefits working with small and nearby subjects. Sigma 150mm f/2.8 EX DG OS HSM APO Macro: A super compact and extremely lightweight lens by Sigma with a large aperture telephoto lens and a life-size (1:1) macro capability. This lens features the perfect focal length which is required by most professionals and boasts some great technologies including Hyper Sonic Motor (HSM), Super Multi-Layer Coating and Optical Stabilizer (OS). The flare and ghosting are reduced to a minimum in images and videos thanks to the Super Multi-Layer Coating. The 150mm F2.8 macro focuses down to 1:1 magnification ratio at its closest working distance of 15 inches. Nikon 14-24mm f/2.8G ED: This lens is the most favorite one of all the professionals who use the wide-angle zoom lenses. 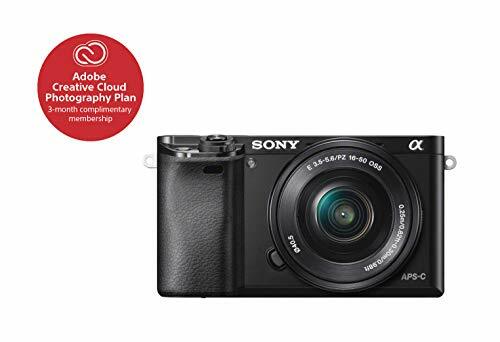 It has a constant f/2.8 maximum aperture which performs brilliantly in low-light conditions, provide edge-to-edge sharpness and gives enhanced contrast to the images and videos. Super Integrated Coating and Nano Crystal technologies make sure that ghosting and flare are reduced and light transmission is increased. The Two ED (Extra-low Dispersion) elements and three aspherical lenses control chromatic and spherical aberrations and combine to enhance sharpness and contrast even at the widest aperture settings. There is also the Internal Focus (IF) technology for rapid fast but quiet autofocusing. 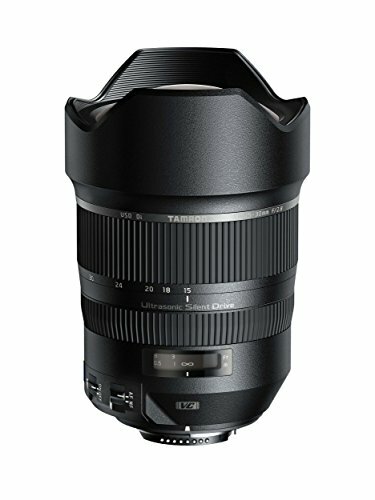 Tamron SP 15-30mm f/2.8 Di VC USD: Apart from being just a wide-angle zoom lens for the D750, this Tamron lens is a very versatile lens which could be used in a variety of conditions without compromising on the quality. The f/2.8 maximum aperture performs miraculously in low-light conditions and offers a shallow depth of field for selective focus. Nikon 18-35mm f/3.5-4.5G ED: A compact and lightweight lens for the shooters who are always on the go. The 18mm wide-angle perspective brings more of what you see into the frame making it a perfect companion for indoor shooting. Capturing landscapes and architecture with this lens is also a delight. Sigma 20mm f/1.4 DG HSM Art: This lens offers jaw-dropping brightness and booked effect paired with a high speed. It can be considered as the culmination of the Art line in relation with F1.4 series. It combines the advanced level optics with the optimized lens power distribution which reduces the axial chromatic aberration, spherical aberration, and field curvature due to which an excellent output is produced. This lens is perfect for landscape photography, videography, low-light, and indoor photography. Nikon 20mm f/1.8G ED: You can capture expansive architecture, landscapes, an entire band on stage and whatnot. This compact and lightweight lens are ideal for its respective users as it incorporates the ultra-wide perspective of a 20,, focal length, a shallow depth of field thanks to the f/1.8 aperture and amazing low-light performance. This lens will allow you to unlock your hidden potentials. Sigma 35mm f/1.4 DG HSM Art: Sigma never fails to disappoint with their extensive collection of lenses for every category. 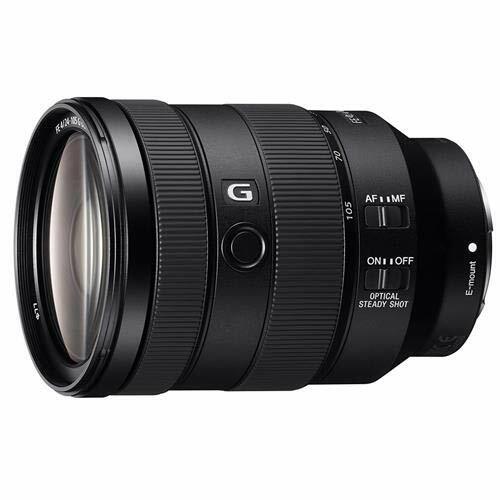 In this category of the best wide-angle prime lenses, they are here representing their lens with the Hyper Sonic Motor and floating inner focusing system. The bright f/1.4 aperture is ideal for professionals who want to do low-light photography and another kind of outdoor photography. Nikon 24mm f/1.4G ED: This lens offers excellent sharpness and color enhancements by effectively decreasing chromatic aberration even at the widest aperture levels. The f/1.4 maximum aperture allows you to shoot effectively in low-light situations with amazing booked effect. In a wide variety of photographic situations, both FX and DX-format camera owners will enjoy the advantages of extra-bright f/1.4 viewing, jaw-dropping image quality and the dramatic perspectives afforded by a picture angle of 84 degrees. Nikon 24-70mm f/2.8E ED VR: A powerhouse of a lens for every kind of photographer. It is improved in terms of specifications from its predecessor. The speed, efficiency, sharpness and durability, all are better from the older model. The Vibration Reduction (VR) technology and Image Stabilization allows you to get the perfect image or video. You could use this marvelous lens in field works to get the best results. Tamron SP 24-70mm f/2.8 DI VC USD: An exceptional lens from Tamron capable of covering 24-70mm focal range. Tamron has tried to lessen all kinds of chromatic aberration in this lens due to which this lens is the top priority for its respective users. It has a special balance between great resolution and beautiful soft blur effects. It uses Tamron’s rounded diaphragm and the uncontrived, artistic blur that it provides. It also features moisture-resistant construction allowing it to use outdoors without any hassle. Nikon 24-70mm f/2.8G ED: It is the widely acclaimed lens for the Nikon’s FX lineup as it is very sharp across the zoom range. The f/2.8 maximum aperture works brilliantly in low light and creates a shallow depth of field with jaw-dropping out-of-focus highlight which is further accompanied by a rounded 9-blade diaphragm. This all-around wide-angle to short telephoto perspectives and a wide maximum aperture is effective in low light conditions. Tamron SP 70-200mm f/2.8 Di VC USD: According to the critics, this lens is the best zoom lens for the D750 thanks to enhanced sharpness paired with VC (Vibration Compensation) image stabilization and USD (Ultrasonic Silent Drive) technologies allowing the shooter to get the best image or video. All these technologies are packed in a compact body of Tamron. Nikon 70-200mm f/2.8G ED VR II: It is a pretty durable lens with enhanced sharpness and a fast constant maximum aperture rate which comes pretty handy while working in low-light conditions. It is a powerful lens for both enthusiasts and professionals and is an ideal lens to use in wildlife, sports and another kind of telephoto photography. 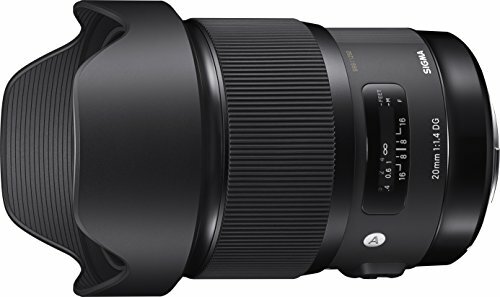 Sigma 120-300mm f/2.8 DG OS HSM: This lens is designed for the Sigma’s latest sports line of lenses. It is therefore ideal for shooting fast-moving objects like sports, aviation, wildlife, and nature. It has a dust and splash proof construction so you can use it in challenging situations without having to worry about anything. There is a Hyper Sonic AF Motor offering fast and quiet autofocusing for faster performance which also comes pretty handy during video recording. Nikon 70-300mm f/4.5-5.6G ED IF VR: It’s an ideal lens for enthusiasts or amateurs who are not telephoto specialists, this Nikon lens is a great choice. It is good for shooting wildlife, travel, well-lit sports, and general photography applications. Sigma 150-600mm f/5-6.3 DG OS HSM Sports: Built with perfection to face all the challenging environments. This Sigma lens has a dust and splash proof construction so that the photographers can work into the most demanding types of photography. This lens features 2 FLD glass elements (performance equal to fluorite) and 3 SLD glass elements due to which it produces some of the most wonderful images. There is an upgraded optical stabilizer (OS) and an accelerometer for improved panning photography both horizontally and vertically which comes pretty handy for capturing wildlife and sports. Tamron SP 150-600mm f/5-6.3 Di VC USD G2: Upgraded optical performance makes this lens a great one for handheld shooting with jaw-dropping results. It has faster autofocus speed and improved vibration compensation paired with Euori1e Coal, FLEX ZOOM LOCK and teleconverter. All these features make this lens to stand out and is one of the most favorite lenses of its respective users. Nikon 200-500mm f/5.6E ED VR: Capable of working with both FX-Format and DX-Format, this Nikon lens offers great zooming power and tack-sharp clarity due to which the resulting images and videos look beautiful. It is extremely compact and the photographers can use it on the go to capture sports, wildlife, and other fast-moving objects. Nikon 200-400mm f/4G ED VR II: Yet another versatile lens from Nikon which is perfect for capturing all kinds of fast moving objects including birds and motorsports. Constant maximum aperture and VR II image stabilization make this lens more appealing. It provides color correction and enhanced sharpness as compared to others by efficiently decreasing chromatic aberration even at the widest aperture settings. Nikon 80-400mm f/4.5-5.6G ED VR: This lens does not only handle the long-distance action photography but is also capable of doing the portraitures as well. This versatile Nikon lens has a wide focal length range and you don’t have to carry a variety of lenses if you have this all-rounder. It has Nikon’s Vibration Reduction (VR) technology due to which it produces some of the most stunning images and videos. Nikon 200mm f/2G ED VR II: Offers a very shallow depth-of-field with stunning booked effect, making it ideal for shooters who want to pause the movement with faster shutter rates in low-light situations including sports and wildlife.